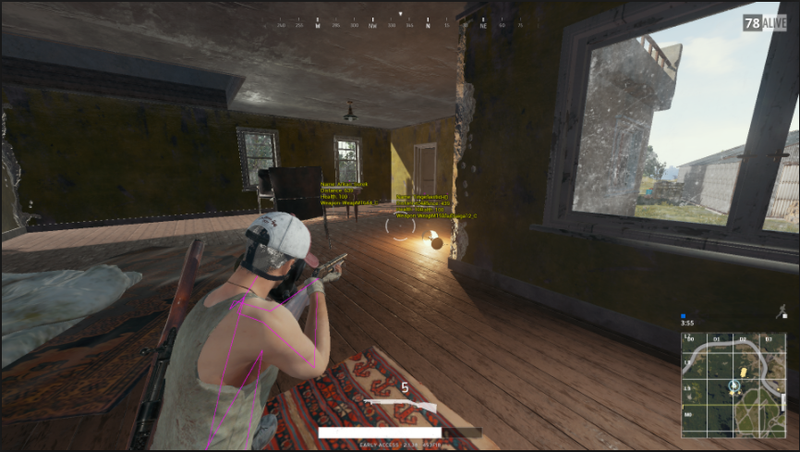 PlayerUnknown’s Battlegrounds’ battle royale is typically a test of skill, but that is sometimes ruined by players who can see through walls and score headshots across the map. Over 25,000 players have reportedly been banned already, but cheaters don’t seem worried. In theory, Battlegrounds is protected by a program called BattlEye, an anti-cheat detecting program that was first used on 2004’s Battlefield Vietnam. It was later used in games like DayZ’s standalone version and Arma 3, the latter being where Brendan “PlayerUnknown” Greene found success with his Battle Royale mod. BattlEye is meant to keep track of player files to check for modifications and to react swiftly in the case of cheating. Egregious cheaters have their hardware information tagged by the system and are permanently banned from playing. While many cheaters have been banned permanently, others can often make a new Steam account and leap back in if caught. While players do get caught in BattlEye’s net while using cheap or free cheats, the best cheats can cost hundreds of dollars or incur subscription fees. These cheats boast of their quality with commercials and highlight reels from matches. Cheaters who want the best hacks have to toss down some hard earned cash and even then, some of the best cheats are locked away in invite only services. Battlegrounds is an early access game that is mostly working to make sure that server are stable, let alone deal with egregious cheating. The implementation of a kill-cam and a robust reporting system might allow for additional measures to combat cheating but for now, players will just have to hope that the majority of would be cheaters are caught in Battleye’s net. If they aren’t? Well, I guess we’re all screwed.